It has been a long week! 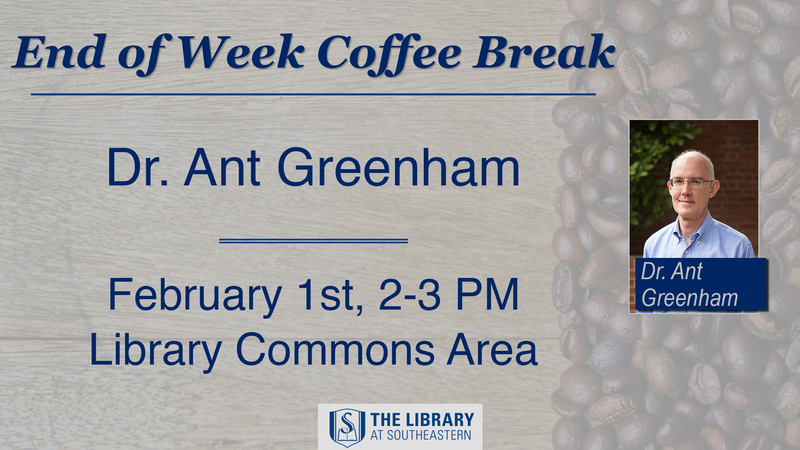 Come by and hang out with some of your professors and drink a hard-earned cup of coffee. Let’s meet in the Library Commons area at 2pm! – Dr. Kristen Kellen, Assistant Professor of Biblical Counseling. – Dr. Ronjour Locke, Instructor of Preaching and Urban Ministry. Sign up for this Coffee Break HERE!